Kellogg Community College’s women’s basketball team is holding a Girls’ Basketball Camp for girls ages 10 through 17 in September at the College’s brand-new Miller Gym in Battle Creek. The camp will be held from 2 to 5 p.m. Sunday, Sept. 23, at the gym, located in the new Miller Physical Education Building on campus at 450 North Avenue. The camp will be led by players from KCC’s women’s basketball team, KCC’s Head Women’s Basketball Coach Dic Doumanian and Alton Tucker, a coach for the community basketball organization Attack Basketball. Camp activities will focus on the fundamentals of basketball and include instruction in drills including shooting, dribbling, passing, ball handling, agility and footwork. Registration for KCC’s Girls’ Basketball Camp is $25 and is open until the day camp begins. Sign-up can be completed entirely online by visiting www.kellogg.edu/youth. 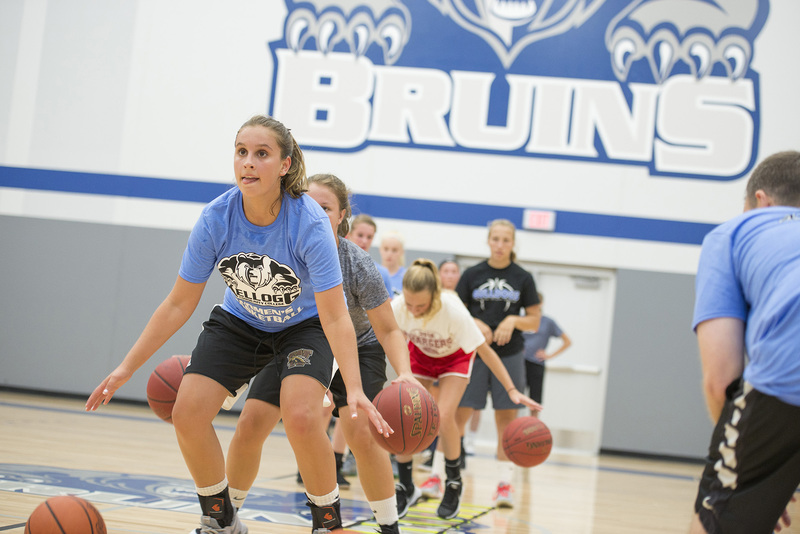 KCC’s Girls’ Basketball Camp is one of several youth activities the College offers each year through its Bruin Youth Programming initiative. For information about additional youth programming at KCC, visit www.kellogg.edu/youth.